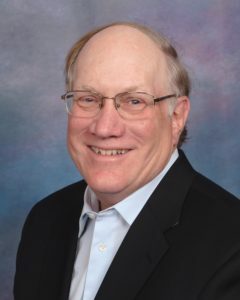 Steven L. Dahlstrom’s credit union career began in 1978 at Missoula Federal Credit Union (Montana) where, having just graduated from college, he was thrust into the manager’s position within the first three months and helped the struggling credit union overcome a difficult time. In 1980, he moved to Spokane, Washington, and accepted a position as senior vice president at Spokane Teachers Credit Union (STCU), a position he held until 1991 when he was named CEO. He retired from STCU in December 2010. Since that time, he has conducted business as S. L. Dahlstrom Consulting, a practice specializing in Strategic Planning, Executive Coaching, and Business Development. He is also a Consultant for Inclusiv/Network, the consulting arm of Inclusiv (formerly National Federation of Community Development Credit Unions). Recently he also became an associate of Strategic Link, Inc. (SLI), a wholly owned subsidiary of Northwest Credit Union Association. Under Dahlstrom’s leadership, STCU grew in assets from $20 million in 1980 to nearly $1.5 billion, making it the largest credit union in Eastern Washington. Organized in 1934, STCU served 92,000 members in 2010. Mr. Dahlstrom has been heavily involved in the credit union movement. He chaired Financial Service Centers Cooperative, Inc. (FSCC), the Educational Credit Union Council (ECUC), and was a member of the Credit Union National Association (CUNA) board of directors. During his time as CEO, Mr. Dahlstrom served his community as chair of the Eastern Washington University Foundation, the Spokane Workforce Development Council, vice-chair of the Northwest Museum of Arts and Culture, and a board member of Greater Spokane Incorporated. He is a graduate of the University of Montana and received his MBA from Eastern Washington University.